After recently quitting sugar I’ve been doing a bit of research into a range of diets and nutritional information that may help my ‘journey to wellness’. What I’ve realised over the years is that one approach to health, fitness or weight loss may not work for all. We’re all individuals and as such have our own nutritional needs and one approach that may work well for me, may not work at all for you. Some people, such as myself, have auto immune issues and find it hard to gain or lose weight. Others have vitamin and mineral deficiencies or even genetic conditions so it’s really important to find you own personal way to achieve your health and fitness goals. One thing that seems to have worked for me is cutting out sugar, mainly fructose. Having just completed Sarah Wilson’s – I Quit Sugar 8 Week Program, I’ve not only learned so much about the effect (addiction) of sugar on the body, I have also learned how to cook tasty nutritional meals that are low in sugar. If you’re thinking about quitting the white stuff there’s a great book out called Sugar Detox for Beginners which gives you a brief outline of the science behind sugar addiction and will also guide you through a 21 day sugar detox (or a rapid 3 day detox). It contains some great recipes and tips to beat sugar cravings. 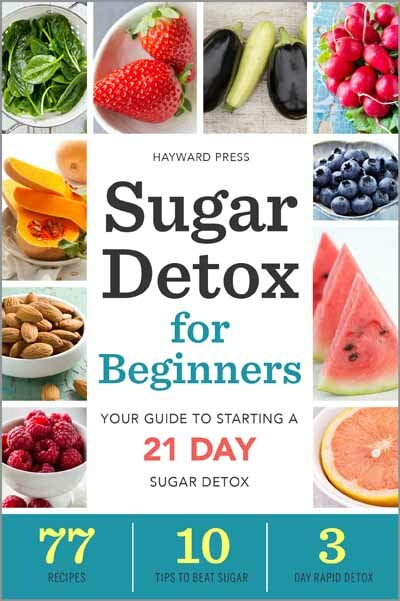 Sugar Detox for Beginners was released 1 August and is $16.99. Paleo is another thing that’s been causing a stir lately. There are several versions of the Paleo diet around, the main variation is how strictly people follow the diet. The Paleo diet is to eat as our Paleolithic ancestors did or more simply a high-protein/low carbohydrate diet. 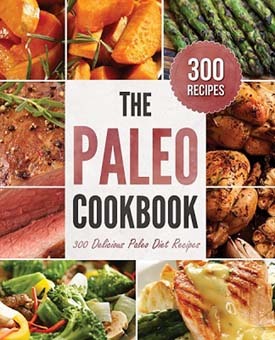 Eating paleo can be difficult in our modern processed food world so if you need some help creating some delicious paleo meals look no further than The Paleo Cookbook which has 300 paleo diet recipes. 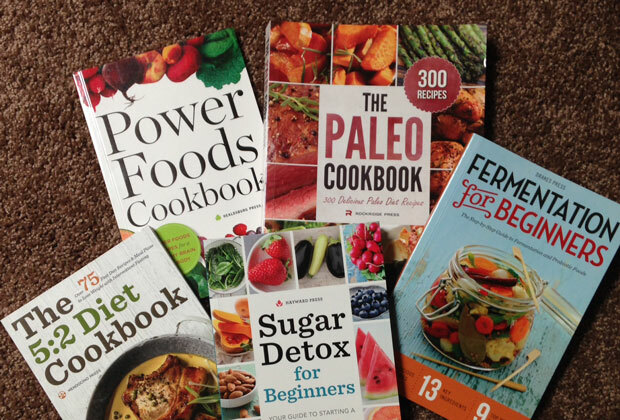 The Paleo Cookbook was released 1 August and is $24.99. Something else I’ve been trying lately is fermentation, in particular Kombucha which is a fermented tea drink with heaps of great health benefits. Fermentation for Beginners is a brilliant book for anyone wanting try home fermentation. I love this book! It has recipes for heaps of stuff like yoghurt, kefir, sourdough and kvass!! This book also explains the health benefits of fermented and probiotic food and gives you a step-by-step guide for safe and effective fermentation. 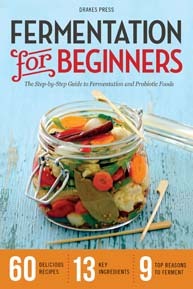 Fermentation for Beginners was released 1 August and is $16.99. I haven’t tried this but a guy I catch the bus (to work) with swears by it. It’s the 5:2 Diet and it’s essentially a weight loss technique that involves intermittent fasting. You eat normally for five days out of each week, and restrict your calories for just two days. The 5:2 Diet Cookbook will give you an overview of the 5:2 diet and it’s benefits, plus it has more than 75 low calorie recipes for your fasting days. 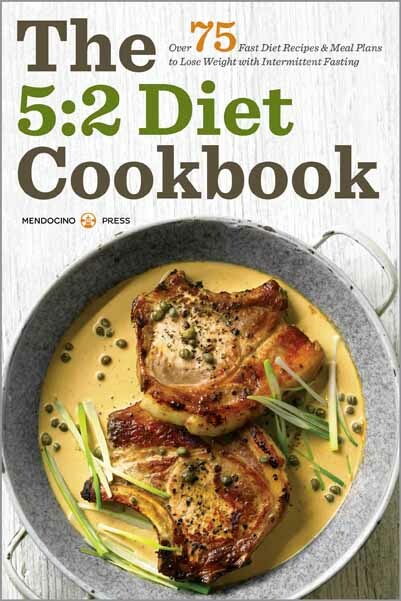 This book is perfect for someone wanting to try the 5:2 Diet as it has a meal plan for a months worth of fasting days – all the work is done for you 🙂 The 5:2 Diet Cookbook was released 1 August and is $16.99. This is another thing you hear mentioned more and more. Everyday there seems to be a new claim about some food being the next power food! The Power Foods Cookbook is a great book which explains exactly why certain foods are natural super foods and what health benefits they have. There’s 50 delicious recipes and snacks and each recipe has a little intro explaining the benefits of the power food ingredients that form part of that recipe. There is also a seven day meal plan and advice on transitioning to a diet rich in power foods. 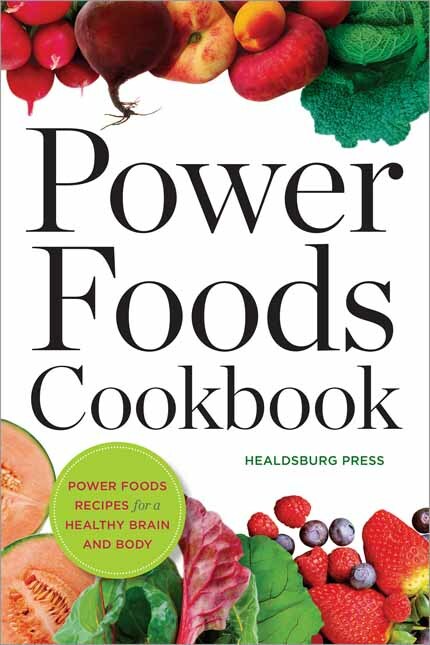 The Power Foods Cookbook was released 1 August and is $16.99.